MAGR Sisters Youth Committee wants to build and promote the development of Muslim identity, strengthen the faith of youth, and encourage sisterhood among the youth. 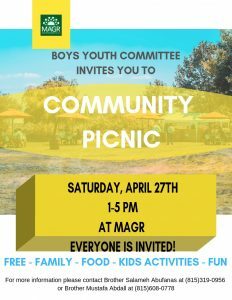 Our mission is to help develop and direct all youth related activities within the MAGR community. We would like to create regular activities that the youth can attend and enjoy, while providing them with Islamic values. 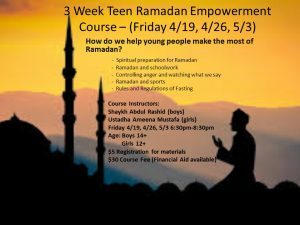 For more information, feel free to contact Youth Committee Salameh Abufanas at 815-319-0956.